As an entity the "Dehne Company" has long since vanished. Buts its simplistic and much revered innovation lives on. Introducing the new, rejuvenated 21st century face of this renowned device! 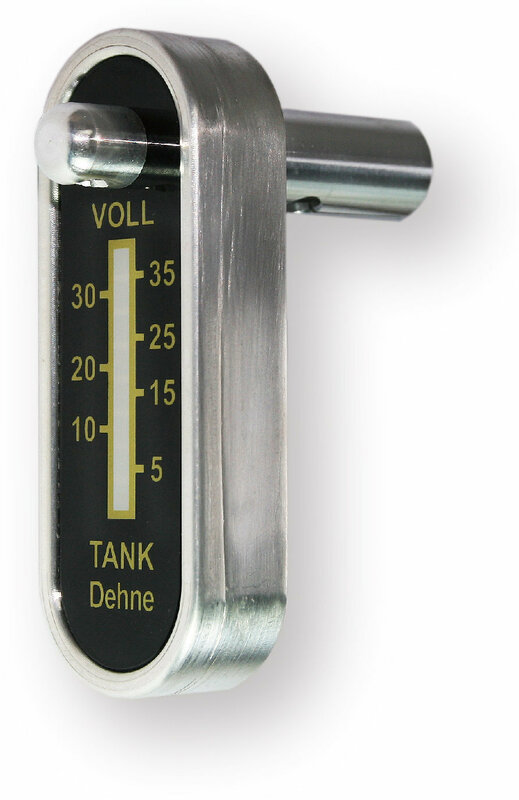 Our "Dehne" digital fuel gauge is machined from 6061 aluminum, compatible with both 6 and 12 voltapplications, as well as with Karmann Ghia and Pre '73 Type 2 tubed tank sending units and Type 1 level style electric fuel sending unit. Give your classic or dubbed machine a hint of modernity while still retaining its "Bug" integrity. 2. Standard Beetle from 1961~1977: Electric Type 1 level style fuel sending. 3. Split window BUS and Karmann Ghia tube style electric fuel sending unit. 4. 1968~1973 Type 2 BUS Tube style electric fuel sending unit.